← How does the life expectancy of Australian men compare to others? Came across a New Scientist article last week about the findings from an examination of the blood and tissues of Hendrikje van Andel-Schipper after her death in 2005. 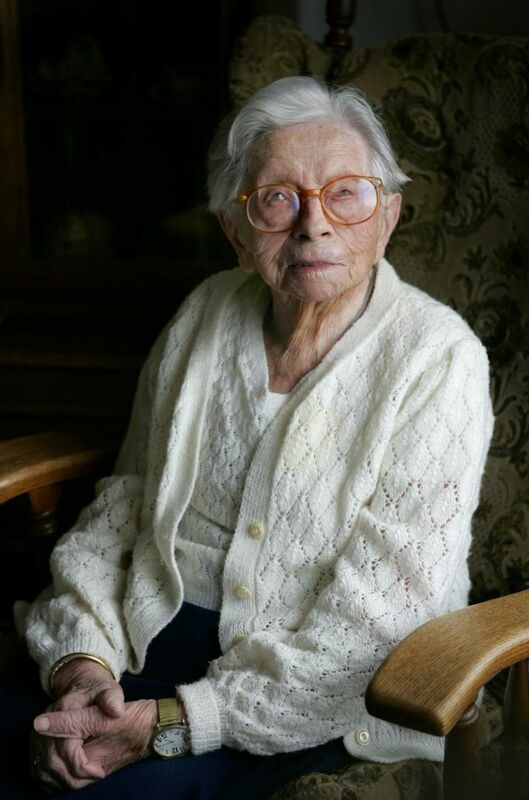 Aged 115 at her death, she was at one point the oldest woman in the world. She was also in remarkable health, with excellent cognition until she was close to death, and a circulatory system free of disease. About two-thirds of the white blood cells remaining in her body at death originated from just two stem cells, implying that most or all of the blood stem cells she started life with had already burned out and died. This suggests that our lifespan might ultimately be limited by the capacity for stem cells to keep replenishing tissues day in day out. 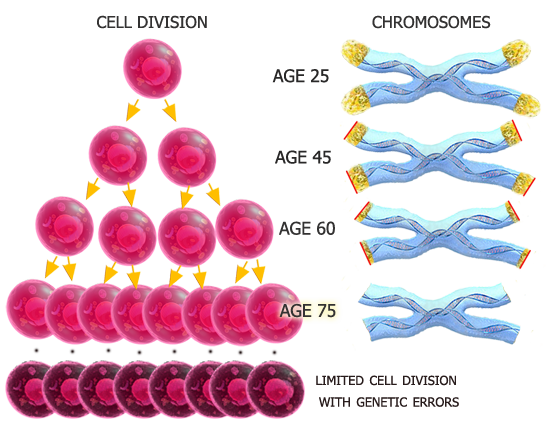 If there is a limit to the number of stem cell divisions, they will gradually die out and steadily diminish the body’s capacity to keep regenerating vital tissues and cells, such as blood. The discussion of telomeres reminded me of the fascinating talk I had heard Elizabeth Blackburn give to a WHO expert meeting on health life expectancy in December 2012 (http://www.who.int/healthinfo/sage/meeting_reports/en/). She was awarded the 2009 Nobel Prize in Medicine for her work on telomeres and her discovery of the enzyme telomerase. When active in cells, telomerase can lengthen telomeres and prevent chromosomes from being whittled down as cells repeatedly divide to replenish their numbers. 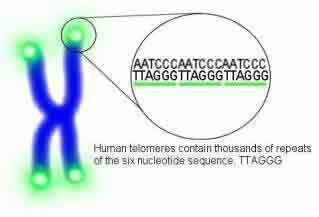 Telomeres are appended to the ends of all 46 chromosomes in all of our cells. Once telomeres become too short, cells can no longer multiply to replenish body tissues. The progressive shortening of this chromosome-capping, protective bit of DNA now appears to be associated with risk for certain chronic diseases. Blackburn’s research group and others have found links between shorter telomeres and risks for cardiovascular disease, diabetes, some cancers, depression, pulmonary fibrosis, vascular dementia, osteoarthritis and osteoporosis. People with longer telomeres are more likely to live longer and, arguably even more significantly, to have more years of healthy life. Blackburn and colleagues also found that telomeres can lengthen as well as shorten over time. A study of 608 elderly men and women with heart disease found that nearly one-quarter of participants had telomeres that lengthened over five years of study. However, being older, being male and being obese were associated with a greater likelihood that one’s telomeres would shorten. Its unclear yet whether telomere lengthening per se improves health, or that it may be a correlate of other health-related factors. Several studies have found that comprehensive lifestyle changes – a healthy diet, stress management and exercise – increased telomerase activity – and that vigorous exercise seems to protect people under high stress from the same degree of telomere loss that they might otherwise experience. Another study by Blackburn and others (http://med.stanford.edu/scopeblog/sdarticle.pdf) found that participants who completed a three-month meditation retreat – compared with people on a waiting list matched for a range of characteristics including prior meditation experience–had a greater sense of purpose and control and reduced neuroticism. The magnitudes of positive changes by these measures were proportionately associated with increased telomerase activity. This entry was posted in Uncategorized and tagged life expectancy, longevity, telomeres. Bookmark the permalink.